New-gen Nissan Sunny unveiled; is it India bound? 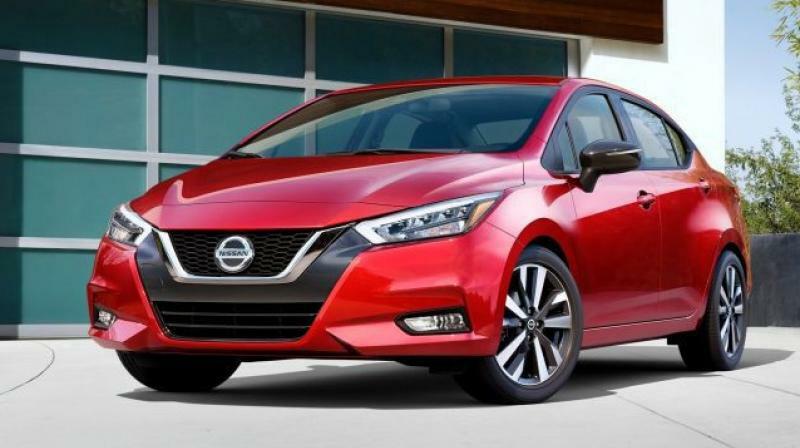 It will go on sale in America by the middle of this year as the Nissan Versa. Sales in South American and Asian markets expected to begin in 2019-20. The eleventh-gen sedan made its world debut in the US recently. Based on the updated V platform that underpins the global-spec Kicks and new Micra. India launch not yet confirmed. Launched in 2011, the tenth-gen Sunny is around eight years old in India. 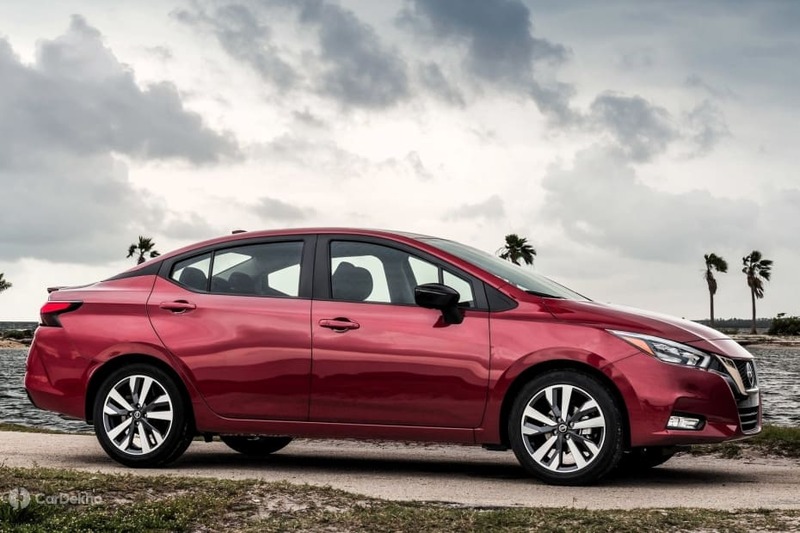 Nissan has taken the wraps off the eleventh-gen Sunny (also called the Versa in the US). It comes nine years after the tenth-gen sedan made its debut back in 2010. The tenth-gen Sunny was first launched in India in 2011. In terms of design, the new sedan takes a leap forward from its predecessor. It draws inspiration from the larger Altima sedan. In fact, it won’t be wrong to say it looks like a compact version of the Altima. Like the latter, it gets Nissan’s V-motion grille that sits on a blacked out portion in the front bumper. It is flanked by upswept, boomerang-shaped LED headlamps with integrated LED DRLs. At the rear, it gets boomerang-shaped tail lamps and a new dual-tone bumper. The side profile of the Sunny looks rather sporty and unique thanks to a coupe-like sloping roofline and blacked out C-pillar with a prominent kink, which gives it the effect of having a floating roof. A similar treatment can be seen on the Nissan Kicks as well. Nissan has not yet revealed the exact dimensions of the new Sunny. However, it has confirmed that it is longer, wider and lower than its predecessor. Moreover, the wheelbase has also gone up compared to the 2600mm of the tenth-gen model. The new Sunny rides on 17-inch dual-tone alloy wheels. On the inside, as reported earlier, the new Sunny looks similar to the global-spec Kicks and the Euro-spec Micra. It gets an all-black theme with contrast orange colour stitching. 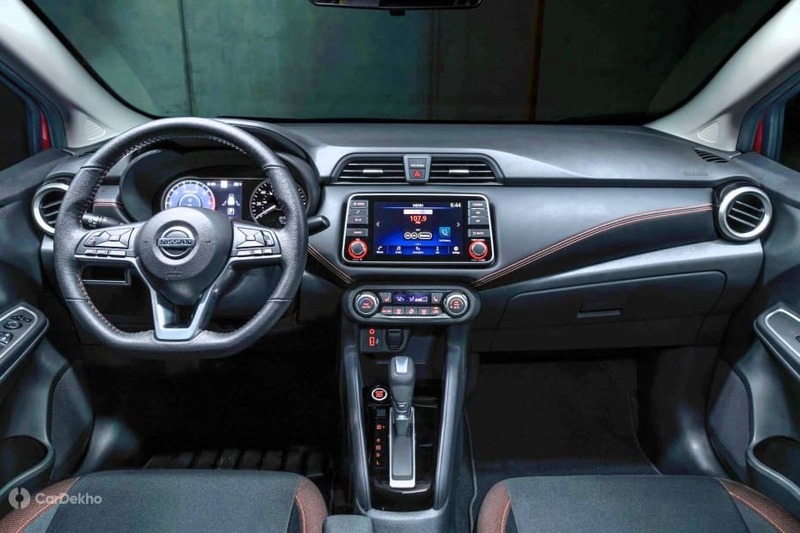 Like the Kicks and Micra, it continues to get a flat bottom steering wheel and a 7-inch touchscreen infotainment system with Apple CarPlay and Android Auto that protrudes out of the dash while the AC vents take the top spot in the central console. Other features on offer include a semi-digital instrument cluster, auto AC, and push button start. 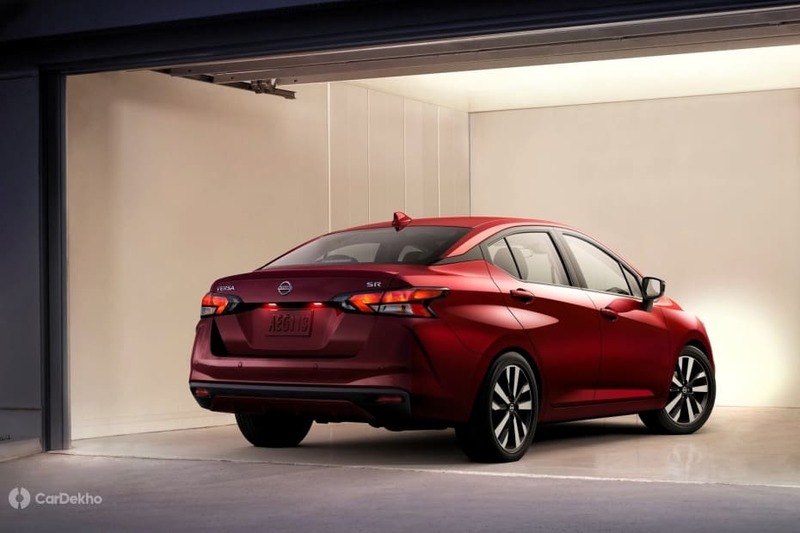 For safety, Nissan has equipped the new Sunny with features like automatic emergency braking with pedestrian detection, rear automatic braking, lane departure warning and high beam assist. Also on offer is a blind spot warning system, rear cross traffic alert and cruise control along with multiple airbags and others. Under the bonnet, the US-spec Sunny will only be available with a petrol engine. It gets a new 1.6-litre petrol engine that produces 122PS of power and 154Nm of peak torque. The engine can be had with either a 5-speed manual or a CVT gearbox. The new Sunny will go on sale in the North American market by mid-2019 as the Versa. However, Nissan has not confirmed the new sedan for India yet. We expect Nissan to bring the eleventh-gen Sunny in India eventually to replace the ageing tenth-gen model. It is one of the oldest sedans in the segment and among the least selling as well. Where its rivals, the Ciaz, City and the Verna, have a monthly average sales of around 3,000 units each, the Sunny has less than a 100 takers in a month. If launched here, the new-gen Sunny is expected to be priced at a slight premium over the current model, which is priced from Rs 6.99 lakh to Rs 9.93 lakh (ex-showroom Delhi).